“Unforgettable”: The Second Season is solid entertainment through and through with good performances from the leads and a nice chemistry as an ensemble. The crimes themselves aren’t groundbreaking save perhaps for the assassin storyline yet the show is well worth keeping up with be it on DVD or, in its current form, as summer filler viewing. 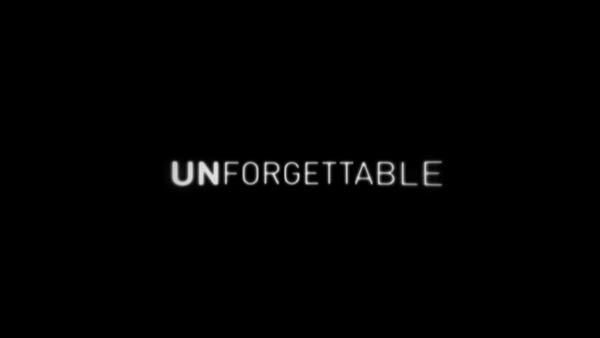 After being cancelled after its first season, “Unforgettable” got shopped around for another network, including TNT and Lifetime, before being resurrected from the dead by CBS with its second season premiering more than a year after the season one finale. However, with new life comes a reboot with new cast members and upgraded glossy locale. And even though it aired on the off-season Friday nights, it did relatively well to see a third season. 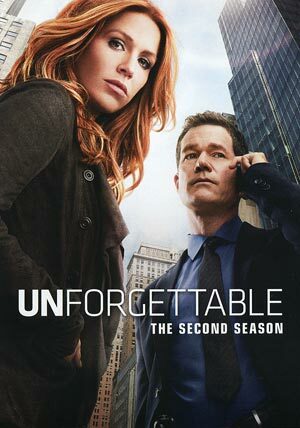 “Unforgettable” finds Detectives Carrie Wells (POPPY MONTGOMERY) and partner/ex-boyfriend Al Burns (DYLAN WALSH) moving from Brooklyn to Manhattan and working for the prolific and high-risk NYPD Major Crimes Division under the watchful eye of Eliot Delson (DALLAS ROBERTS), the Mayor’s right-hand man. Their new workmates include computer whiz Jay Lee (JAMES HIROYUKI LIAO) and former FBI Agent Cherie Rollins-Murray (TAWNY CYPRESS). Along for the ride is fussy Medical Examiner Joanne Webster (JANE CURTAIN), offering her forensic expertise and insights with a comedic flair, of course. This season features cases ranging from child abductions in the season premiere; a bank robbery gang with Carrie going undercover; a murder involving a Swiss diplomat; and even the Major Crimes Division investigating a murder in the Hamptons where they stay at Delson’s palatial summer home (with “Seinfeld” alum Wayne Knight guest starring). None of the cases are of top quality but with the team dynamic and Carrie’s use of her ability to remember everything she sees, does make it stand out from the other numerous crime-dramas on television today. All in all, “Unforgettable” is a good escapist show that might not rewrite the genre or anything but the ensemble cast, even if it is a jarring change, work so well together and star Poppy Montgomery continues to show some nice charisma, and one of finer actors throughout the “Without a Trace” series… and she’s not bad looking either. The four-disc set comes housed in a standard DVD case. An “Unforgettable” Reboot (15:10) looks at the second season return and how they came about to rebooting it with new characters and a different setting. Unbreakable: The Cast + Crew of Season 2 (30:37) is an extensive featurette chronicling the cast and crew members as they chat about the second season and the plotlines. Unstoppable Action (6:35) examines the action scenes, such as car chases and fight scenes featured on the show. Gag Reel (15:08) features your usual line flubs and on-set antics. “Unforgettable”: The Second Season arrives on DVD presented with a 16×9 enhanced 1.78 widescreen aspect ratio and although it is standard def, it’s a fairly impressive looking transfer with bright colors and minimal artifacting or pixilation. The Dolby Digital 5.1 track offered up isn’t overly dynamic and at times can top out but dialogue levels are clear enough while the front and rear channels are mainly used for the score, ambient noises or audio effects during any action scenes. Overall, “Unforgettable”: The Second Season is solid entertainment through and through with good performances from the leads and a nice chemistry as an ensemble. The crimes themselves aren’t groundbreaking save perhaps for the assassin storyline yet the show is well worth keeping up with be it on DVD or, in its current form, as summer filler viewing.